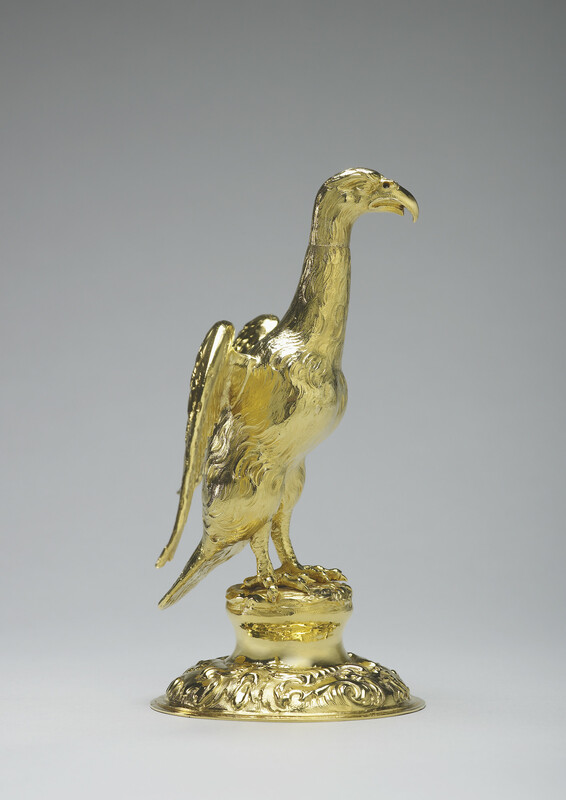 The gold Ampulla or vessel is cast in the form of an eagle with outspread wings, on a domed and foliate base, and a foot chased with auricular scrolls and masks. 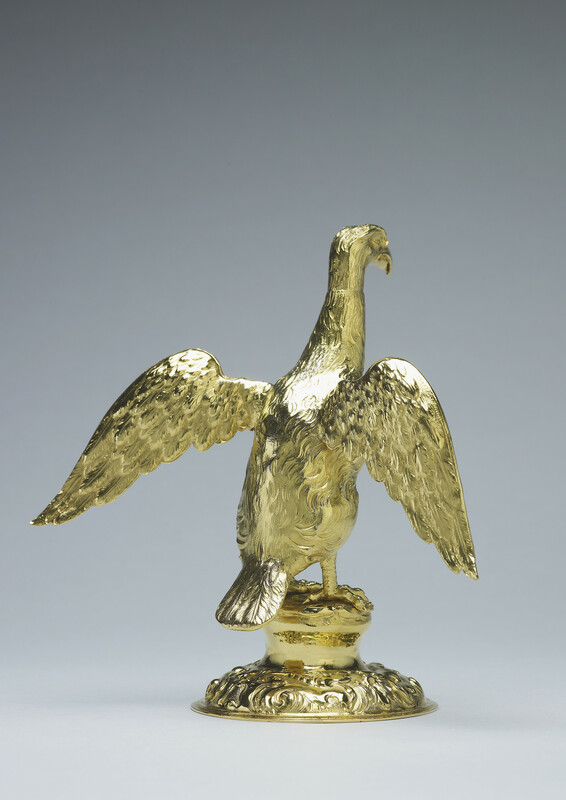 The head of the eagle screws off, and there is an aperture in the beak for pouring the oil. The Ampulla is used to hold the consecrated chrism or oil with which a sovereign is anointed during the coronation ceremony. 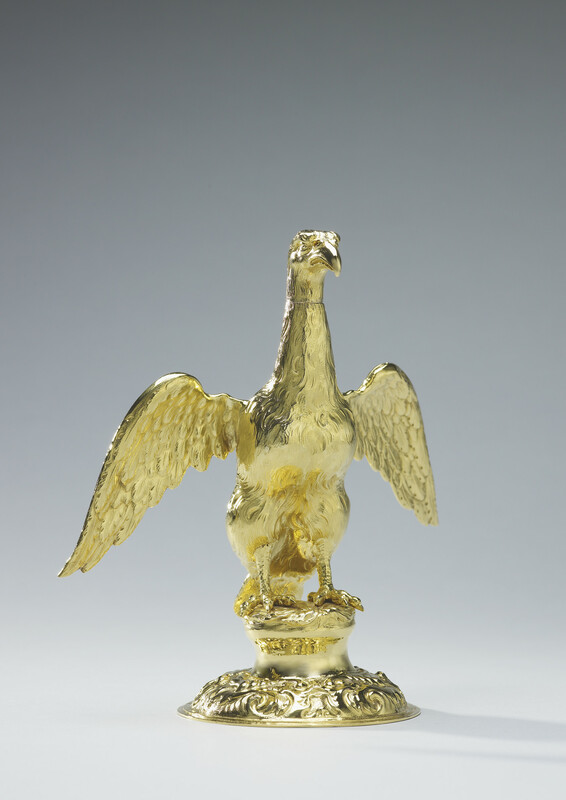 The design, in the form of an eagle, is based on an earlier, smaller vessel, which in turn was based on a fourteenth-century legend that the Virgin Mary appeared to St Thomas a Becket and presented him with a golden eagle and a vial of oil for anointing future kings of England. 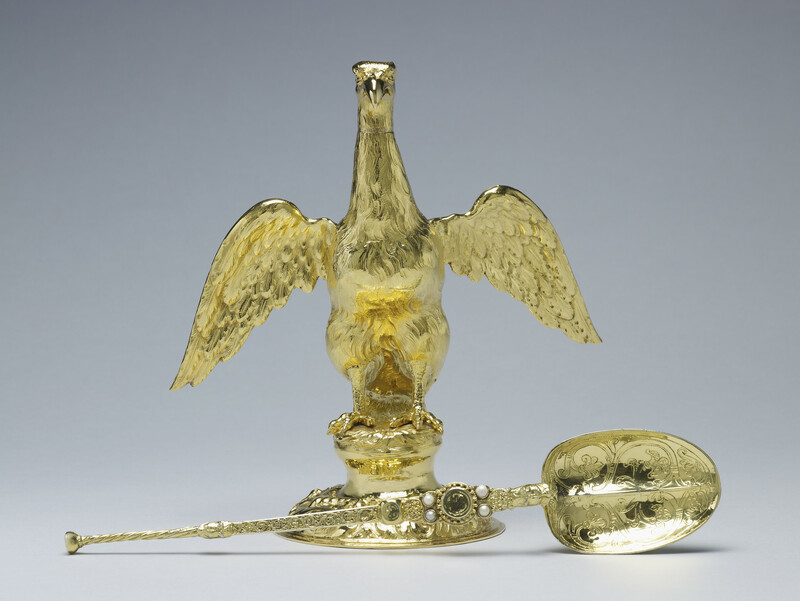 Traditionally the oil is placed in the Ampulla, and then poured into the twelfth-century Anointing Spoon, at the most sacred moment of the coronation. The gesture of anointing, when the Archbishop touches holy oil onto the head, breast and hands of the sovereign, dates back to the Old Testament Book of Kings, where the anointing of Solomon as King is described. 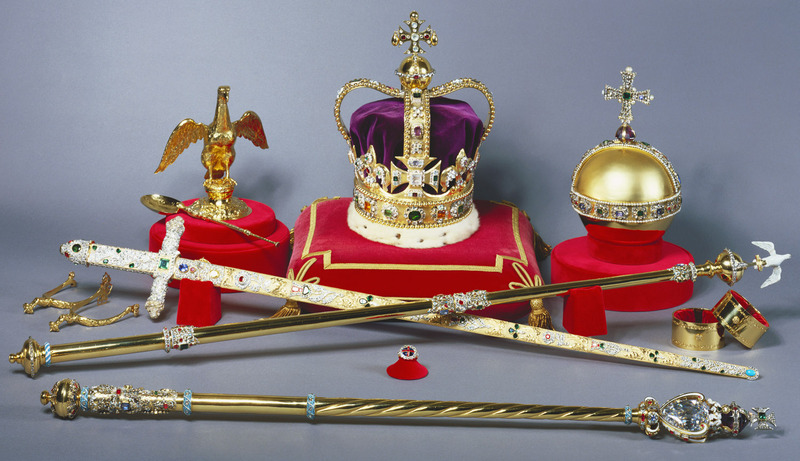 Supplied for the coronation of Charles II in 1661 by the Crown Jeweller, Robert Viner.